It would be an understatement to say this Giro d'Italia has had one of the most exciting few days of any Giro that's gone before. It didn't do any harm to start the race in bike-mad Holland, where hundreds of thousands of Dutch fans turned out to support the visit of the Giro to their country – and they got a feast of hard-core racing for their trouble. Wind, rain, crashes and that exuberant support in The Netherlands sent this Giro back to Italy glowing with pride, and I suspect the drama won't end until we reach Verona on May 30th. Just who the winner will be remains far from certain after four stages, for the key elements of this Giro won't be seen before the final week in the Dolomites. Alexandre Vinokourov, Ivan Basso, Cadel Evans, Carlos Sastre and Vincenzo Nibali seem to be the main contenders at the moment, but the mountains will always force more names to the fore. 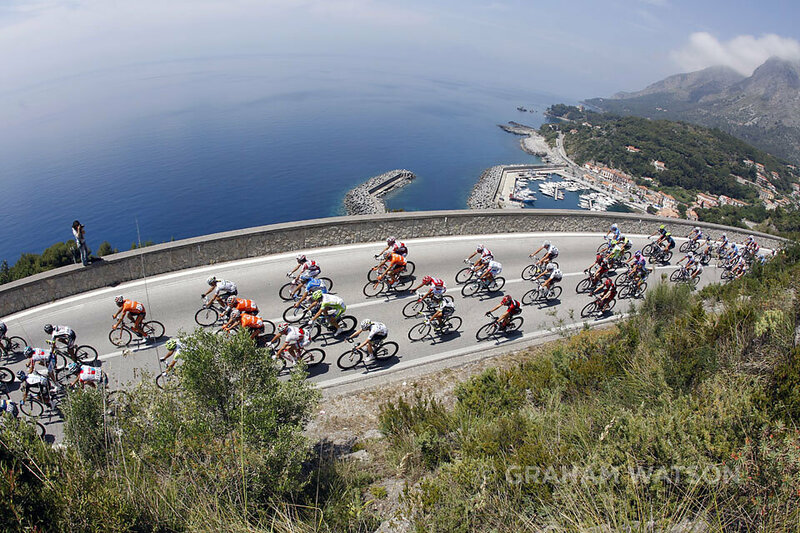 The Giro will, for once, have to share its glory with another race this year, because the Tour of California sets off in its new pre-summer life on May 16th, with an eight-day jaunt down from Nevada City to Thousand Oaks that promises to be as captivating as this Giro has been to-date. Lance Armstrong, Levi Leipheimer, David Zabriskie, Tom Boonen, Fabien Cancellara and Andy Schleck are the names to rival the stars in Italy, albeit on a course somewhat less challenging across the Atlantic. But anything lacking in the way of mountains will be more than compensated by the battle for supremacy amongst teams like Radio Shack, Garmin-Transitions, Rabobank, Quick-Step, Cervelo and Saxo Bank. All these teams have American sponsors today, or want to find American sponsors for the 'morrow, so their fight will be quite memorable! A few months ago I took the decision to follow all the Giro, sensing it would be a very special one to follow. In doing so, I have had to forfeit the Tour of California - now that was not an easy decision to make. Happily, I've found the ideal replacement for me in Will Swetnam, who'll be covering the TOC from a motorbike and providing us with daily updates on www.grahamwatson.com Think of it: Giro d'Italia photos on this site each day followed, same day, by Tour of California images - you've never had it so good! You can view each day's racing and see what really happened in both Giro and TOC, and even purchase prints from both events. I'll be a curious and certainly envious observer of the TOC from afar, while working to get the best out of this Giro and then comparing the winners of both races and the battles that were waged to find those winners. The Giro is too old and historical to worry about the TOC. But the TOC has a life all of its own and deserves equal attention – so let's enjoy both races!